What can local health departments (LHDs) do to improve their informatics capacity? 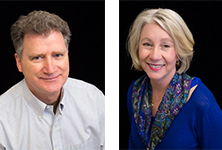 NACCHO Voice interviewed Bill Brand, MPH, Director of Informatics Science, and Debra Bara, MA, Director of Practice Support at the Public Health Informatics Institute. Brand and Bara presented the session “Building Informatics Capacity: The Informatics-Savvy Health Department Self-Assessment” at NACCHO Annual 2015. Why is informatics so important to local health departments (LHDs) today? Brand: Informatics is an applied science that makes effective use of data. When data is transformed into information, it is used to inform public health decisions, allocate resources, and determine the effectiveness of interventions. In addition, the current digital information era has changed the way we collect, store, share, and use information. LHDs must remain relevant in this new e-health ecosystem and rise to its challenges by enhancing their information capabilities and improving their ability to effectively exchange information with public health partners. What are the key things LHDs should evaluate when completing an informatics self-assessment and why are they important? Bara: There are three fundamental components in assessing LHDs’ informatics capabilities: (1) an overall informatics vision and strategy; (2) a skilled workforce; and (3) well-designed and effectively used information systems. Crafting an informatics vision and strategy is the first step in becoming an informatics-savvy health department. This activity lays the foundation for the use of information and information technology as strategic assets. In the self-assessment, the vision and strategy is the starting point. Questions address how health departments support decision-making about technology (governance), whether LHDs have an organizational structure that supports informatics practice and effective stakeholder strategies, and whether resources are allocated adequately to support achievement of the health departments’ information objectives. Developing a skilled workforce is a critical aspect of informatics capability. Questions about recruiting, retaining, and training public health professionals for key informatics roles should be included in the second step of self-assessment. Health departments need to have supporting policies and practices in place that enable their employees to get training, which could be on-the-job training or formal academic and certification programs. In addition, many agencies find the need to develop job classifications and position descriptions for informatics professionals. The third section of the self-assessment covers the need for effectively designed and utilized information systems. This section includes questions related to requirements documentation, project management, usability practices, information systems inventory, standards adoption, and data exchange capabilities. Please tell us about the instrument you recently piloted to help LHDs assess their capabilities. Brand: The Informatics-Savvy Self-Assessment was designed to allow health departments to identify where their informatics capabilities lie on a continuum. Because receiving, managing, and sending digital data requires a level of informatics capabilities that health departments seek to define and build, this tool was developed to enable participation in a self-assessment that assists planning and priority-setting. A consensus-based activity, the self-assessment tool provides a forum for valuable discussions on where agencies are on the road to becoming informatics-savvy. How can becoming more adept at informatics help LHDs better serve their communities? Bara: The capability to translate data into information at a local level is the foundation for every other element of the health system. In 2012, the Institutes for Medicine (IOM) defined core capabilities for public health, leading with Information Management and Surveillance. We might say that information is the life blood of the public health system, and local health departments are key to fulfilling the public health mission at both a local and national level. Understanding your current capabilities and future potential helps agencies to be effective partners in community health and build increased capability to interact in the digital transformation of the health system. Interested in learning more about informatics? Visit NACCHO’s Informatics webpage or view slides from Brand and Bara’s session at NACCHO Annual 2015. This entry was posted in informatics, public health infrastructure and systems on August 7, 2015 by nacchovoice.